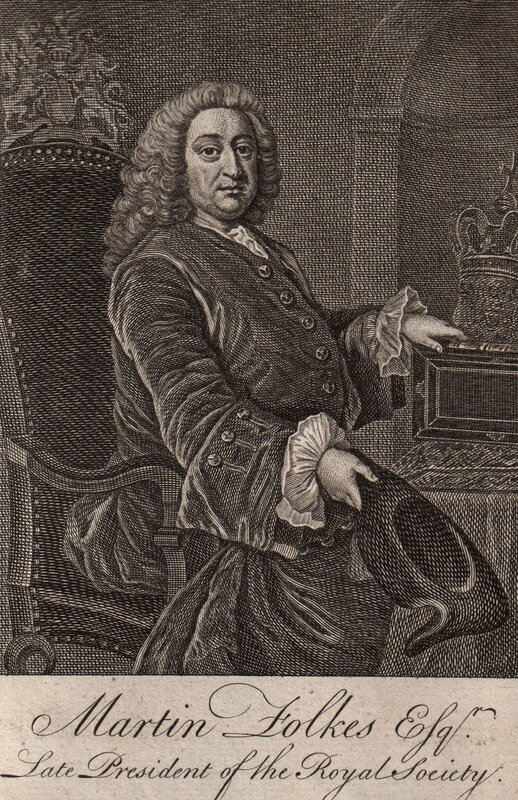 The mathematician and antiquary Folkes was elected to the Royal Society at the age of 23, and later served as its President from 1741-53. He is known for cataloguing the historic gold and silver coins of England. This entry was posted in English on April 9, 2014 by anelson.